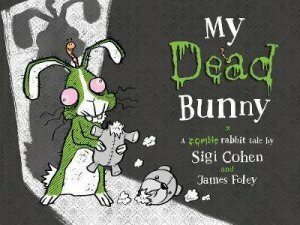 This hilarious CBCA shortlisted picture book about a zombie bunny is now in paperback. 7+. My dead bunny’s name is Brad; his odour is extremely bad. He visits me when I’m in bed, but Bradley wasn’t always dead … A hilarious rhyming tale about a zombie bunny who comes back to visit his owner.